Don't lose your head, Olaf! 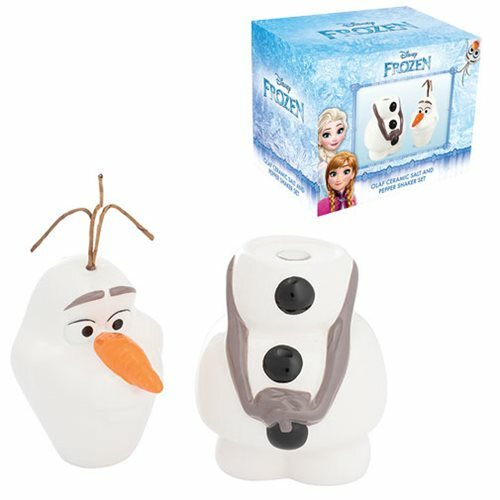 Presenting a unique custom-sculpted design in high-quality ceramic that has Olaf's head as one stackable shaker and his body as the other, the Frozen Olaf Sculpted Salt and Pepper Set measures about 6-inches tall (stacked) x 2 1/2-inches wide and features hand painting that enhances exquisite details. It comes in a full-color gift box. Ages 13 and up.